Darren and Andy were excellent at helping us to secure our new home - knowledgeable and sensible, lots of attention to the transaction, and great drive to get us over the line. Thanks both! Very helpful people, I found an amazing house to rent in a short period of time. I have relocated from another country and they helped me a lot. Professional and friendly service. My first experience using an estate agent could not have gone any better. Always available by phone or email no matter how minutia the question or need is. Within 25 hours they (Andrew) had found me a couple who have already moved in! Strongly recommend their services. Thank you so much to the Portland Team. The guys over at PE were excellent throughout the entire cycle from viewings to signing the contract. They did everything and more to ensure my experience was seamless. Would highly recommend Andrew and the rest of the guys over at Portlands. Finally, we sold our flat. It was a roller coaster journey for us-- with the great help of Darren and Andy who were there to guide us along the way (as we are selling our property for the first time) these duos really did a fantastic job of explaining to us and giving us information as we go about with the process. They would call, update us by email, phone and would go extra mile.. I couldnt thank them enough. Thank you Portland Estate Agents. Highly recommended! I sold a 3-bedroom house in NW10 area through Portland Estate Agents. 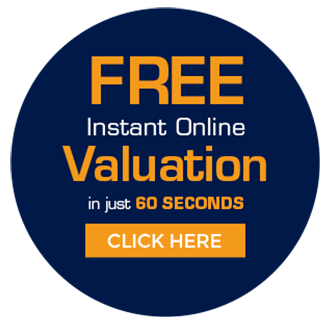 I am very satisfied with their service from valuation to sale, and I strongly endorse Portland Estate Agent with high ratings as their service is great and above expected. I would like to thank Darren, for being helpful, always responsive; and highly knowledgeable during the transaction. Thanks team Portland! Brilliant service! from start to end, kept giving us updates regarding our purchase. big thanks to Darren for the support throughout the sale! i would highly recommend Portland estate agents!! i will definitely consider using it in the future. Always ready to answer multiple questions and give their expert advice. They have put lots of effort to make it all happen and we finally got there. Thanks for everything! good luck to the Portland team!!!! A very good company with an exemplary service. Jo Frati, the Property Management looks after me very well and I would recommend them to everybody. My first time using an estate agent and it was also my first time committing to the property market. I've heard about the importance of doing your research, what to look out for and ensuring an orderly and easy to follow process from beginning to end and the team (especially both Andy and Darren) were very helpful, friendly and patient throughout. On behalf of my family who were closely involved, we thank you and couldn't be happier! They were very prompt with their communication and very professional too and I feel I am now in a position to recommend them to my friends and relatives within the area. I would highly recommend Portland Estate Agents. They offered a highly efficient service with clear communication, regular and reliable updates. Offered frank advice in relation to the market which ensured a sale within 5 weeks in this competitive market. The office of Portland estate agents always offered a warm welcome.